Ogunwusi said this late on Friday during a courtesy visit by the National Executive of Nigeria Tour Operators (NATOP) to the Ooni’s palace in Ile-Ife. The executive members were led by Mrs Bilikisu Abdul, NATOP’s President and accompanied by some journalists. The traditional ruler said that Nigerians had failed to develop the tourism potential in the country due to the discovery of crude oil. He said that Nigerians had also forgotten that every nation’s tourism potential was inexhaustible compared to its oil and gas that has a life span. ” As a nation, our biggest problem has been discovering oil; we have different tourism products rich in content which are nature based, tourism is not exhaustible but oil is. ” It is important for us to propagate domestic tourism, it is the future of the country and that is the way things can get better. ” We should encourage people to travel within the confines of the nation, we should focus on things nature has blessed us with and take away every negative charge in us. ” Tourism is something I am very passionate about, I don’t joke with it so let us all collectively groom it together,” he said. The Ooni of Ife also in his responses to requests made earlier by the leaders of the groups under NATOP assured them of his royal support. He promised to attend the AKWAABA Travel Market in September, Calabar Carnival slated for December and NATOP Annual General Meeting in April. He said he was going to channel his resources to the success of the tourism events as each was capable of attracting tourists into the nation. He commended NATOP’s president for her doggedness and sense of responsibility to ensuring that the Nigerian tourism sites were well marketed. ” I will say that you all have my full support for all these programmes tabled before me today, we will work together to take Nigeria to the next level,” he said. Earlier, the president of NATOP, Mrs Bilkisu Abdul, appreciated the Ooni for his remarkable contributions to the development of the nation’s tourism industry. She appealed to the Ooni to host NATOP’s 2019 Annual General Meeting at Ife in order to explore the huge tourism potential of the town. ” Your highness, we have come to appreciate you for your support so far and request that you host our 2019 Annual General Meeting here in Ife,” she said. Also, Mr Gabe Onah, Chairman, Calabar Carnival invited the Ooni to observe and participate in the activities of the forthcoming 2019 Calabar Carnival which had been slated for December. He said in the last two years, Carnival Calabar had been the most sustainable social and economic venture initiated and driven by both the Federal and the Cross Rivers State Governments. According to him, the Cross Rivers State Governor has expanded the festival with not only international flavours but explored every avenue to make the carnival a truly African product. Onah said that Cross Rivers State would be happy to have the presence of Oba Ogunwusi in the 2019 festival and equally tap from his tourism promotion involvement to actually improve its tourism brand. ” Carnival Calabar has been the yardstick for measuring events in Africa today as we have hosted over 50 countries and organisations across the world, boosting over a million visitors in the state yearly,” he said. Similarly, Mr Ikechi Uko, the Organiser of AKWAABA Travel Market, said that his organisation was planing to hold the first global tourism diaspora conference as part of its activities for 2019 festival. He said this was to recognise Nigerians in the Diaspora, 400 years after the first set of Africans were sold into slavery in 1619. According to him, plans are in top gear to invite several Nigerians in the Diaspora during the programme for them to explore some places in the country and know a bit of their history. 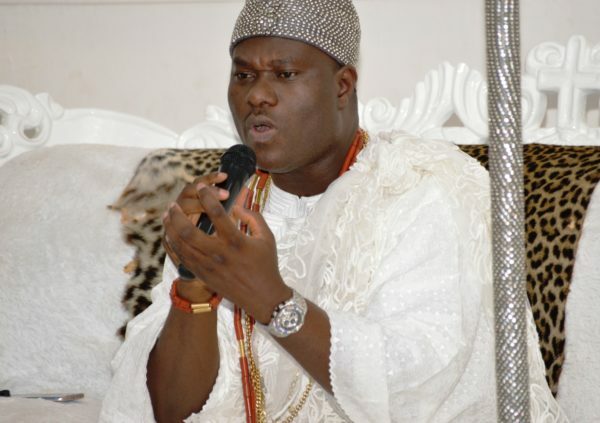 Uko said that his organisation would be honoured to have the Ooni as the Special Guest of Honour during the festival. ” Our people from the Diaspora will be honoured to meet with you as the King of Africa during the festival. ” For 2019 AKWAABA, we want to recognise Nigerians in the Diaspora while we bring in some for the event. ” We have had our people from Brazil, Atlanta and other countries asking if they will see the king of Africa in 2019 AKWAABA and we have promised them that they will see you as our king of Africa,” he said.